As with any part of your home décor, caring for your Artisan Plantation Shutters is a great way to have them last for many years. Window treatments can often be overlooked as pieces of décor, but the right window treatments may stay with a homeowner most of their time in their home. Keep reading to learn the proper care and maintenance for your interior shutters. Artisan Plantation Shutters are beautiful pieces of décor for your home, but their design could be a small challenge when it comes to cleaning, and using a soft-bristled toothbrush to get into crevices and around louvers, is a smart “tool” to consider. This will allow you to clean around any hardware, and allows you to reach areas that could be difficult to clean, with a cloth or duster. Refrain from using soap or water to clean your real wood shutters, as the water will cause discoloration or warping. When you move into a new home the window treatments may look a little outdated or well used, and may simply need to be replaced. 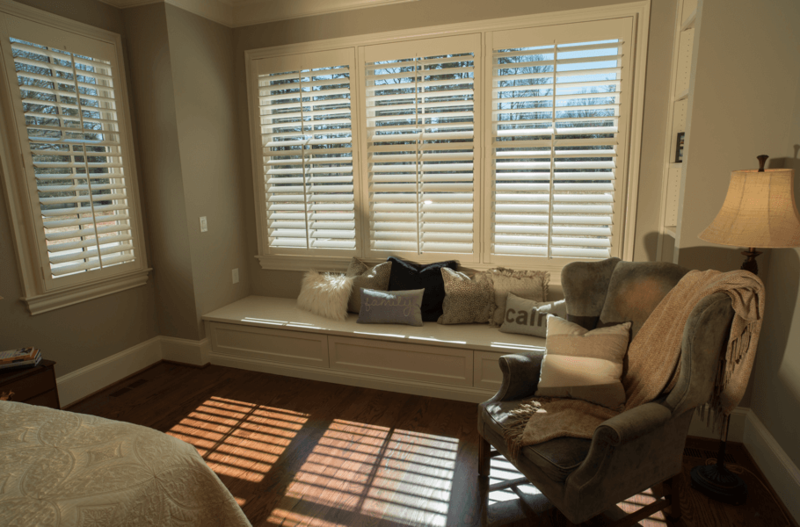 If you are looking for new shutters, trust in Artisan Shutter from A Shade Above to bring fresh beauty and function to your windows, that we have brought to homes across North Carolina for years. Our showrooms are in Charlotte/SouthEnd, Cornelius, NC and we provide services to the greater Charlotte area. We are excited about our third showroom in South Charlotte to open soon. Call us today to find the perfect custom shutters for your home. All of our window treatments are made in the U.S.A.